Every sunrise brings new experiences, places and people into our lives. Lake Arrowhead mountain communities are unincorporated areas of San Bernardino County (Not Cities). Lake Arrowhead itself is a private Lake. In order to use the lake at any level, one must own property inside the certain geographical boundaries known as the “Arrowhead Woods”. There are approx. 8,816 homes inside the Arrowhead Woods that have lake privileges or “Lake Rights”. The many docks you see around the lake are all individually owned. You must be a property owner to own a dock or to rent a dock from a dock owner. Representing Real Estate principals in Lake Arrowhead and our mountain communities require a substantial amount of specialized knowledge and experience. I have sold hundreds of homes in the area since 1992. Look around our website, preview available homes for sale and please feel comfortable in contacting me. I look forward to both speaking with you and meeting you in person soon! Ken is extremely knowledgeable of mountain construction and real estate and guided us through our first vacation home purchase. He and the Remax team always followed through on all aspects of the process, and even helped us after closing. I highly recommend Ken in all regards. I needed to sell my home in Lake Arrowhead, and he was recommended to me as one of the best realtors in the area. 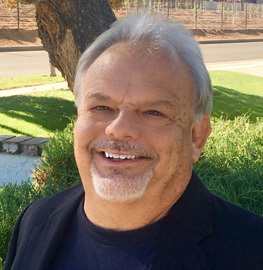 Throughout the entire short sale process, he was knowledgeable, creative, patient, supportive, sympathetic and communicative, all with a wry sense of humor. He is easy to work with, and goes the extra mile for his clients. Thanks, Ken! We used Ken to sell our house. As home sales go there were some headaches long the way. But Ken was always there with his calming ways to guide us through all of it. Ken is very good at what he does negotiating the stressful home sales process. We would highly recommend him to anyone looking for an experienced real estate agent for purchasing or selling your home, Ken is the right one. Ken was amazing - he knew the process for listing property in the Lake Arrowhead area from zoning to sloping. It was a great pleasure working with you Ken, getting our property listed and sold within such quick turnaround...Thank you so much, Ken!!! In my experience Ken Hunter has been professional and hard working. His expertise in building homes helped him understand more then the exterior of the homes we looked at. Some real estate agents over-inflate your concept of what your home will get but Ken has a pulse on what things will sell for now. I have referred Ken Hunter to my friends who needed an honest hard-working agent! I called Ken after reading all the reviews on Yelp and I'm so glad I did. He truly is "5 Stars". Easy to talk to, no pressure, honest, and very knowledgeable about the mountain community. He was always easy to reach too. I was selling a property in Lake Arrowhead that had a couple minor challenges and he was very helpful in resolving them. Don't waste your time with anyone else, just go to Ken and relax and enjoy finding or selling a home! Thank-you so much Ken! We contacted Ken after reading other positive reviews on real estate agents in the Lake Arrowhead area. From the time we initially reached out until he contacted us back was within a few hours...and he was on vacation at the time! It didn't take long to get acquainted with Ken and he quickly got to a good understanding of what we were looking for. He didn't waste our time trying to up sell or down sell on properties just because he or his agency was listing them. We had a hit list of properties we found on Zillow and he quickly made contacts with the selling agents to schedule walk throughs. Once we selected the house we ultimately purchased, Ken was diligent about watching out for our best interests throughout the escrow process. He knows Lake Arrowhead in all respects, having lived there for so long. 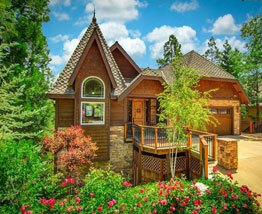 That experience will make a difference in helping anyone select a house in the Lake Arrowhead area. His broad knowledge of everything from community to home construction to laws and regulations of the A.L.A. were very impressive, but he gives out this knowledge not being boastful or bragging, but as a concerned friend. Kudos to Ken. 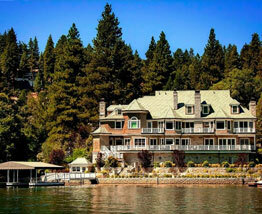 He's the right choice if you have any interest in purchasing property in the Lake Arrowhead area. ken is a awesome agent, easy to work with. he is professional and honest not your average sales person. he is invested in making us happy. i would recommend him to anyone. Ken's the best. His knowledge of mountain communities and construction was incredibly valuable and he was very easy to work with. He steered us away from a number of challenging properties and often pointed out positives and negatives for particular properties that we would have overlooked. It took us several months to find the right one, and Ken was super patient and diligent as our agent. Highly professionally and knowledgeable. Ken completely understands this region and helps clients find a great match! Ken takes a genuine interest in people and it shows through his outstanding reputation in the area. He is honest, dedicated and passionate about his work. I'm sure you will feel that same too after working with him. I had Ken Hunter help me with the house I recently bought in Redlands/Loma Linda area. I think his input was invaluable. He was able to see the house through his past work as a contractor and give me advice that helped make my decision. He also pulled up some research on the house (that I myself had not found) that helped us understand the history. I felt he was honest and straight forward, and really looked after my own interests first. My husband has been talking about getting a vacation home in Lake Arrowhead for probably the past 9 months. He found Ken Hunter while searching around on the internet and reached out to him because of the great reviews read. We finally made it up there to actually look at houses and honestly I was not even sure we were really in the market for one. Up until the point when we showed up he was very informative with my husband yet patient and not pushy at all. He met with us on a Saturday and showed us about 7 houses. The entire process was excellent and he listed to both my husbands and my concerns, thoughts, etc... He even listed to my teenagers and what they were looking for to see if he could make us all happy. Well to my surprise he did. We found a cute little house that we all love and can't wait to make great family memories in. Even the next not so fun step of getting the loan and insurance and all that stuff needed to get the house - Ken worked with us hand in hand and put us in touch with more great people that know Lake Arrowhead inside and out. We highly recommend him and will work with him again if we ever decide to sell or upgrade... you never know :-). I found Ken on Yelp after reading the positive reviews other happy clients had posted. My husband and I are now in Escrow thanks to Ken's help and guidance. For several weeks Ken showed us around to countless properties in Lake Arrowhead until we found the perfect place. No pressure, no nonsense, just endless patience and good counsel. I would recommend Ken to anyone looking to buy in the area. Ken helped us find the right home in Lake Arrowhead. He knows the area very well, and was easy to work with. Full of insider info about LA and surrounding towns. An all-around pleasant experience. Thanks, Ken! 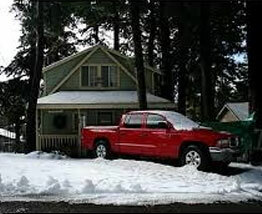 Ken has recently helped us purchase a vacation home in Lake Arrowhead. Ken was very friendly and personable. He knows a lot about the mountain and structure of the homes, this really helped when we were out looking. He was able to point out may things that we would have missed otherwise. He was in constant contact and assisted us in every step of the process. He truly made us feel apart of the mountain and we would not hesitate to recommend him to anyone we know. Ken assisted my wife and me during our purchase of a second home in Lake Arrowhead. His extensive experience and knowledge of the Mountain Community proved to be invaluable. Additionally, his no pressure approach and thorough explanations throughout the process made our purchase experience pleasurable, pain free, with an on-time closing. I would recommend Ken to anyone looking for positive buying process. If you are looking to buy or sell your property, I highly recommend working with Ken Hunter. He's the best! As first-time homebuyers, Ken guided my husband and I through the entire buying process with ease. He was always available for questions and gave us useful suggestions when appropriate. My husband was not able to view most of the homes as he travels quite frequently, and therefore, we both relied on Ken to help us choose the home that would best fit our wants and needs. As Ken and I viewed several homes, he took his time with the tour and pointed out things I might have overlooked. I value his honesty, integrity, and commitment in helping my husband and I find the perfect home for us. Ken is a fantastic guy with a great personality and incredible work ethic. He exceeded my expectations, and I would be happy to work with him again in the future. Thanks, Ken! I'm writing this review to recommend Ken Hunter at Remax. 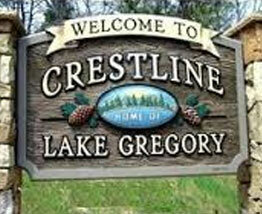 My wife and I were looking for our first home in Crestline CA and used Ken to help us in our search. Not only was Ken extremely knowledgeable on mountain properties, but he went above and beyond the call of duty. Ken had a genuine interest in making sure we found the right fit and was extremely accommodating and flexible to setting up viewings. Even during the Escrow period, we could count on Ken to help us with any questions we had with any part of the process and I knew he was on our side. Ken is the best in the business and couldn't recommend a more honest, caring and wise realtor anywhere. Thanks Ken.